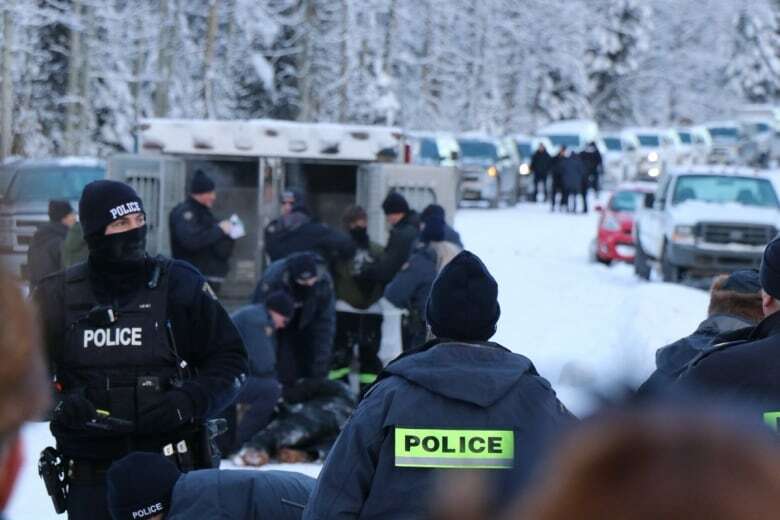 Contempt charges against 14 people arrested for blocking a pipeline project in northern B.C. have been dropped. 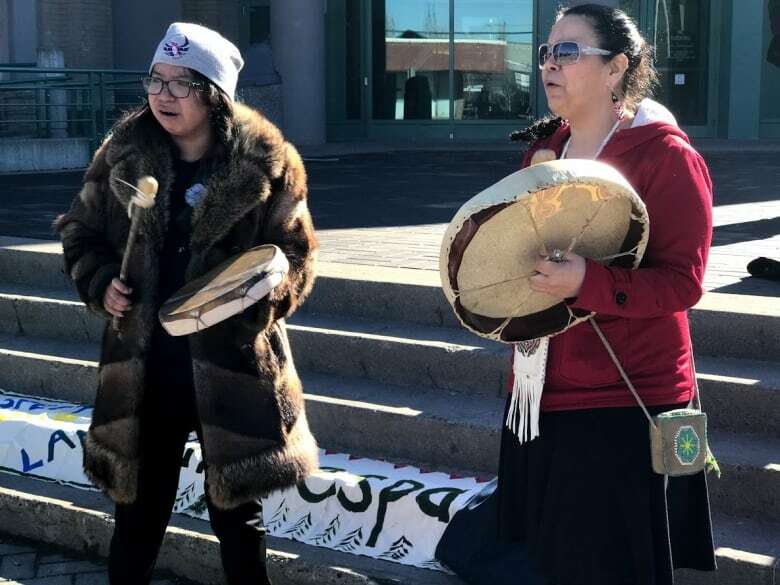 "I felt like there was a little bit of justice today," said Molly Wickham, one of the 14, outside the Prince George, B.C., courthouse Monday. "Relief, huge, huge relief." "They have wisely decided not to proceed," said lawyer Martin Peters, who was acting for Wickham and several others. "I'm delighted … they saw the wisdom of stepping aside." "Those are things we should not have to experience as Indigenous people holding up our own laws on our own territories." Coastal GasLink has signed agreements with numerous Indigenous communities. But the Unist'ot'en Clan of the Wet'suwet'en Nation oppose the pipeline project through their traditional territories. A large portion of the proposed 670-kilometre Coastal GasLink pipeline is slated to go through the Wet'suwet'en Nation's traditional territory — a route rejected by most of the nation's hereditary chiefs. Those arrested near the Unist'ot'en camp were all facing civil contempt proceedings, for disobeying a court order by blocking or interfering with Coastal GasLink's pipeline work. But on Monday morning, Crown lawyer Trevor Shaw of the BC Prosecution Service told the Supreme Court of British Columbia in Prince George that after a "detailed review of the evidence" there wasn't sufficient evidence for convictions on criminal contempt charges. 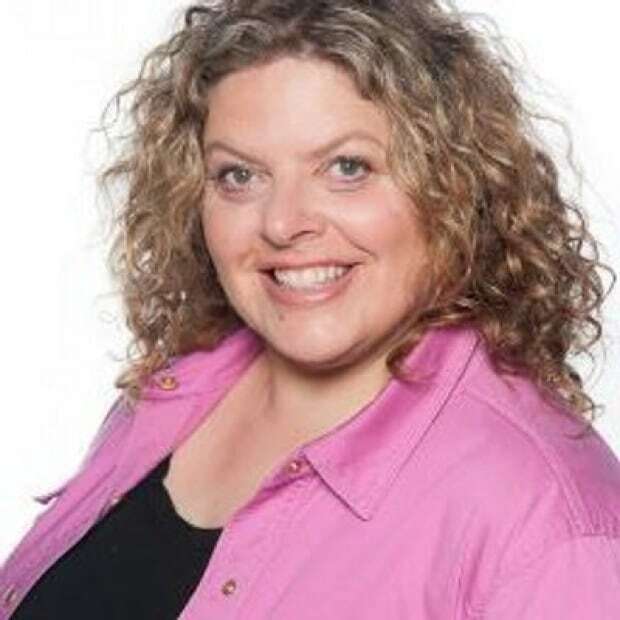 Coastal GasLink lawyer Carrie Kaukinen then told the court she would follow the Crown's lead and that her company would not proceed with civil contempt proceedings. "There is high public interest, but it is not appropriate to proceed," Church told the court. "I accept that Coastal GasLink does not wish to proceed." Although the contempt proceedings have ended, the B.C. Crown did approve one charge stemming from the Jan. 7 arrests. A Crown spokesperson said Anton William Bueckert is charged with one count of assaulting a police officer with a weapon near the Unist'ot'en camp. 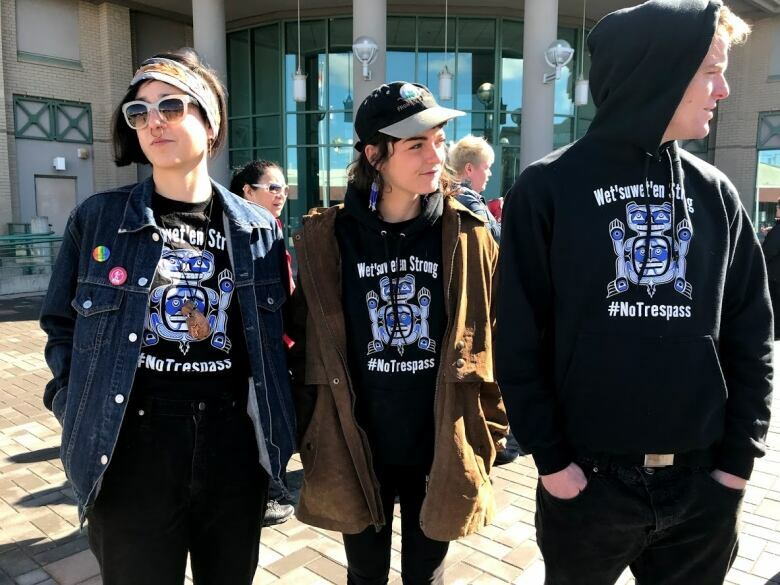 Church reminded those in the courtroom that the injunction is still in force, requiring pipeline opponents to stay away and let the company do its work. "If they continue to disobey, it might be quite a different matter." Wet'suwet'en hereditary Chief Madeek, also known as Jeff Brown, said the struggle continued. "We're still protecting our territories," he said. "This isn't over by a long shot."